Federation of Automatic Transmission Engineers (Fedauto), find members for public and trade for automatic gearbox repair. Specialist transmission Engineers and automatic gear box repair specialist available from our find members service. 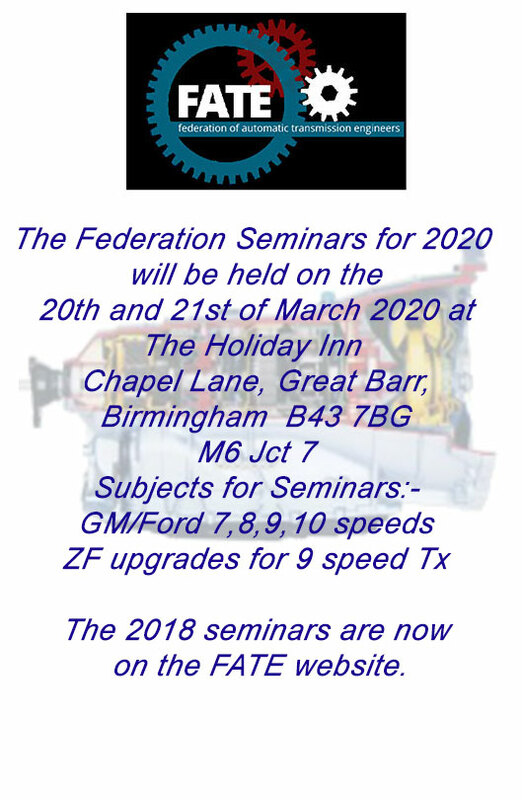 Federation of Automatic Transmission Engineers also joins together those specialists to enable a greater spread of expertise and knowledge. To search for a repair specialist in your area click on the 'find our members' above. Monthly working party meetings started to take place in 1976 when two gentlemen from Mitcham, Surrey and Stockport, Cheshire, got together to discuss the need for a national rebuilder's organisation. The working party comprised of delegates from eleven UK companies who agreed on objectives for the organisation. The Federation's objectives are to promote the reputation of the rebuilding industry and help maintain standards of workmanship, and hopes to provide technical and managerial information geared to help it's members, most of which are small firms. Any firm rebuilding, servicing or supplying components for Automatic Transmissions can apply for membership. We are currently celebrating 37 years as the only body representing independent Automatic Transmission rebuilders in the UK, Ireland and Europe, which is supported by a group of dedicated transmission specialists. The Federation has a nation-wide warranty registered with the Office of Fair Trading. A Quality Manual was introduced in the early 1990's with guidelines on all aspects of our industry. Technical tips from our members are sent out to all the membership on a regular basis.